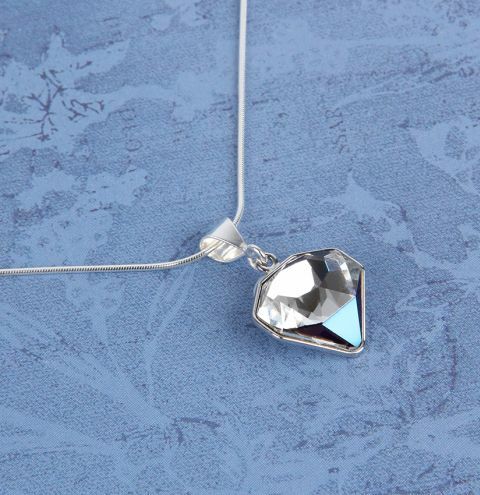 *BLOG FEATURE* Make a sparkly necklace with the NEW Swarovski Innovation! Read the blog post HERE. Looking for a different colour? Find more Swarovski Tilt crystals HERE. Carefully open the loop on the bail and close it onto the Swarovski setting. Thread you chain through the bail. Apply a drop of glue in the setting and press the crystal into place. Allow to fully dry for 24 hours before wearing your necklace.